My mother said to "think big and think crazy" about what I wanted to do for my second summer. I thought about the work I wanted to do as an investigative journalist and how I had always wanted to report from the toughest places. I wanted to be on the front lines of a crisis, so I set out to find an internship that could take me there. 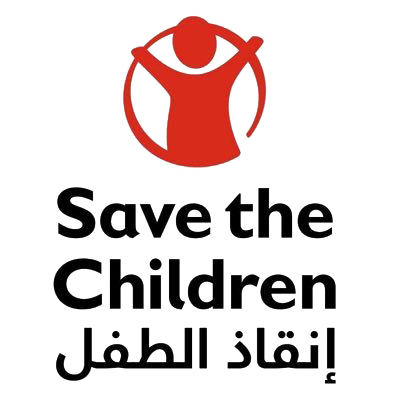 That's how I ended up with Save the Children Jordan. I served as the Communications Intern for SCJ's Advocacy Media & Communications (AMC) Department from June to August 2018. During my internship I had a wide range of tasks that honed my journalistic abilities and made me a better worker and problem solver. The work I was able to produce for SCJ is all shown below, I hope you enjoy my summer effort. I was tasked with writing articles covering the work SCJ does on the ground as well as any significant events that involved the organization, here are my best three. ZAATARI REFUGEE CAMP, MAFRAQ — Laughter, music and delicious food are not commonly associated with World Refugee Day, celebrated globally on the 20th of June every year... Click ​here to read more. MAFRAQ & AMMAN -- During their second trip to Jordan, Save the Children Spain brought with them one of their most popular spokeswomen, Hiba Abouk... Click here to read more. AMMAN — A new agreement, donating dozens of computers and other electronic equipment, was signed by SCJ, the UN World Food Programme and the Vocational Training Corporation... Click here to read more. The AMC Department sent me on field visits to refugee camps where I covered the SCJ's work on the ground. I worked mainly in Zaatari and Azraq refugee camps on the Jordan-Syria border. Below are the photos I loved the most because of the stories they told and the emotions they captured. As a member of the AMC Department, I contributed to the creation of social media content for all of the different platforms that SCJ is present on. I had to write an English and Arabic version for the majority of my posts. These are all of the posts that I created for SCJ's different platforms. Throughout my summer I worked on several different documents for both Save the Children Jordan and Elon University. These documents ranged from major global campaign reports to minor press releases to reflections. Every month SCJ creates a situation report detailing all of the work that the organization is doing for the Syrian Refugee Crisis. These reports are sent to other Save the Children Offices around the world. I was in charge of writing, translating, editing and laying out SCJ's May and June reports. 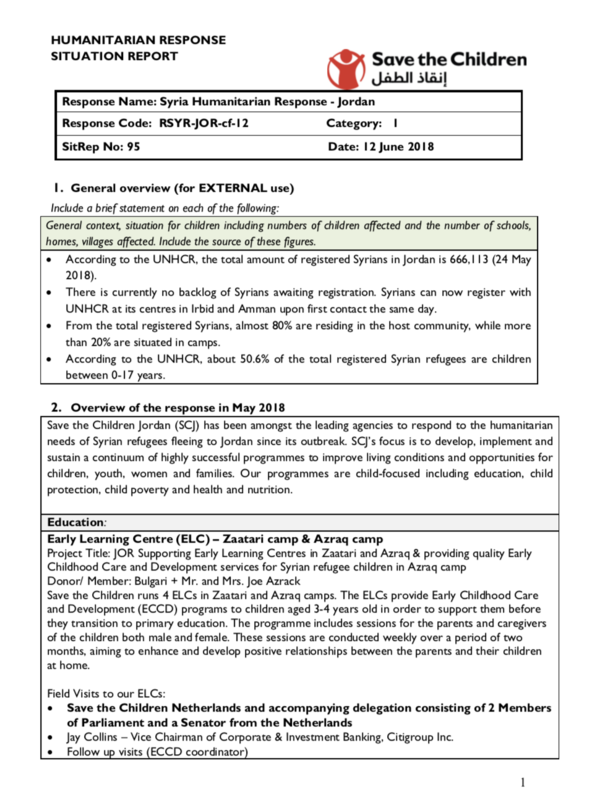 In order to keep local news outlets informed about all of the major news from Save the Children Jordan, I was tasked with writing press releases for significant events. The press releases ranged from international visits to local NGO meetings, they had to be written and submitted on the day of the event. These press releases were sent to news organizations such as The Jordan Times, Al Bawaba and Alghad. One of the requirements to graduate from the School of Communications at Elon University is an internship. I registered my SCJ internship in order to fulfill my COM318 requirement. Below are all of the assignments that I turned in for the class.